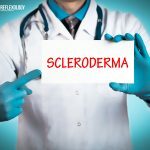 The present day hectic lifestyle with tight schedules, back to back meetings and deadlines often leads to stress, annoying pains and aches and the quick option most of us opt for is popping a pain killer, hardly thinking about the negative effects that it can have on our health in the long run. Drugs can provide temporary relief to the body, but ancient therapies like Acupressure strengthens the body from the core by stimulating certain sensitive areas to provide long term relief from ailments and pains. Prevent your body from relying blindly on drugs and let it bask in the wholesome goodness of Reflexology and Acupressure which is a therapy in complete harmony with nature. Headache, neck pain, backache and shoulder pain has become some of the most prevalent, chronic problems in present times and the majority of the population suffers from any one of these pains. It is always better to seek long-term remedy for any disease, even if it’s a minor one because it helps in healing the body from within. This can be achieved only by adopting a natural healing process like Acupressure that revives the entire body and helps in curing diseases and acute pains. This one of the most common yet intimidating problems that all of us have suffered at some point of time. Although, in most cases, headaches are mild and disappear on their own with time, but in certain cases it can wreak havoc on our health and call for medical attention. The most common type of headache is known as ‘tension headache’ that are caused by prolonged stress, tension and fatigue. Other related factors like neck strain and prolonged working on the computer are also the culprits. 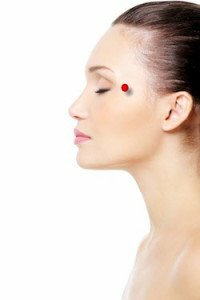 Acupressure works wonders in providing relaxation and quick relief to the annoying headaches. 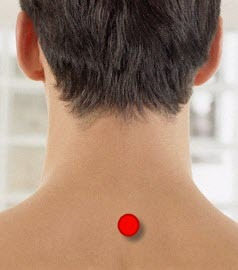 The Acupressure treatment for headache involves 4 pressure points. Point 1– This point lies in the flesh between the thumb and the index finger. Point 2– This point lies in the skin between the 2nd and the 3rd toes. 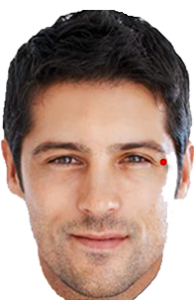 Point 3– This point is located at the outer tip of the eyebrow. 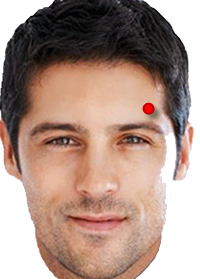 Point 4– This point is located one thumb-width above the midpoint of the eyebrow. Earache is a very common problem in children, but it may also affect adults and the pain may be sharp, throbbing, burning or dull depending on the cause. 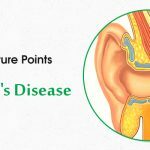 There may be several reasons for earache as infection, sore throat, sinus, change in pressure, water in the ear, ear wax buildup. Whatever might be the reason, Acupressure soothes and heals the pain with its concentration on the concerned pressure points. The Acupressure treatment for Earache involves 4 pressure points. Point 2– This point is located near the ear, on a prominent structure called the ‘Tragus’. Point 3– This point is located just above point 2. Point 4– This point is located near the outer corner of the eye. This is one pain that has troubled almost all of us at some point in our lives. One of the most common causes of toothache is poor oral hygiene and tooth decay. 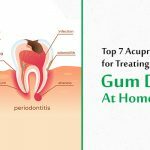 Other causes include infected gums, grinding teeth and an abscessed tooth. Tooth ache may be accompanied by several other symptoms like fever, pain and swelling of gums. 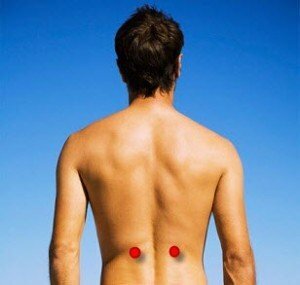 Get lasting relief from this painful condition with the help of Acupressure. The acupressure treatment for Toothache involves 4 pressure points. Point 2– Clench your teeth and feel a prominent oblique muscle on the lower part of the cheek. This point lies on the most prominent part of this muscle. Point 3– This point lies in the skin between the 2nd and the 3rd toes. Point 4– This point lies just beneath the cheek bone. 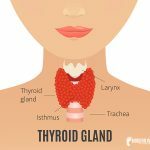 The neck is one of the most complex parts of the body that consists of bones, muscles, nerves, joints and ligaments and it holds the head on atop the body, which weighs almost 5 kilograms. Neck pain may arise from the strain and tension that we face while rendering our day-to-day activities like reading or watching television is a wrong position, working on the computer for long hours, falling asleep in an uncomfortable posture, sprain during exercise. Neck pain is often associated with stiffness and soreness of the neck and difficulty in turning it, but with the help of Acupressure, it is possible to get rid of it in an effective and natural way. 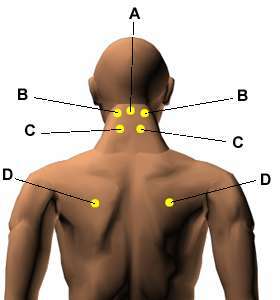 The Acupressure treatment for Neck Pain involves 5 pressure points. Point 1– This point lies on the outer border of the forearms, 2 finger-widths above the wrist joint. Point 2– This point lies in the flesh between the thumb and the index finger. 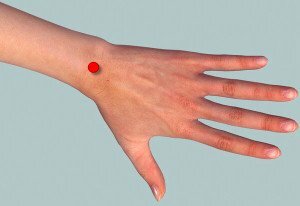 Point 4– This point lies on the wrist joint, in a shallow depression between the ends of the two forearm bones. Point 5– On bending the head forward, two vertebrae stand out prominently on the neck. This point is located between these 2 vertebrae. Being one of the most mobile joints of the body, the shoulder is often prone to injury and pain. Majority of the shoulder problems arise from inflammation of tendons, shoulder instability, arthritis and frozen shoulder. The main problems associated with these ailments are restricted mobility and extreme pain which can be relieved with the help of Acupressure and Reflexology. 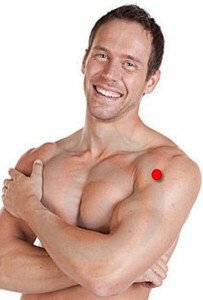 The Acupressure treatment for Shoulder Pain involves 5 pressure points. Point 2-If the arm is bent at right angle, a vertical groove forms on the front of the shoulder. The point lies at the centre of this groove. 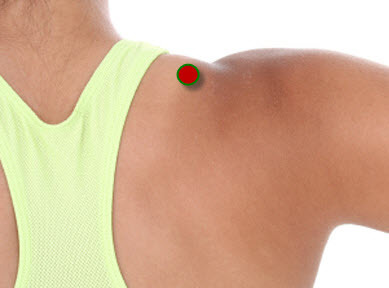 Point 4– This point lies on the back surface of the shoulder, one thumb width above the end of the arm pit. Point 5– There is a pointed bone at the back of the shoulder. This point is located in a shallow groove on the side of the shoulder just beside this pointed bone. Just about all of us must have experienced this problem at some point of our lives. The pain may be sharp or dull, in the form of cramps, frequently recurring. In most cases, the pain is due to no serious reason and can be easily treated with the help of Reflexology. Some of the usual causes of abdominal pain are constipation, indigestion, gas, food poisoning and menstruation cramps that can be effectively treated with the help of Acupressure. 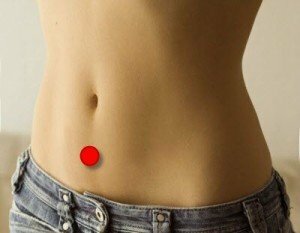 The Acupressure treatment for Abdominal Pain involves 7 pressure points. Point 2– Bend your knee joint by 90 degree, now move three thumbs-widths downward from the lower end of the knee cap. There you will be able to feel a pointed bone. The 2nd point is located one finger-width to the outer side of this bone. Point 4– The inner part of the ankle joint has a prominent bone. From the tip of this bone move four finger-widths upward. The point is at this level, just behind the vertical leg bone. 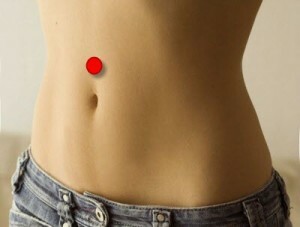 Point 5-This point is located 2 finger-widths below the navel. 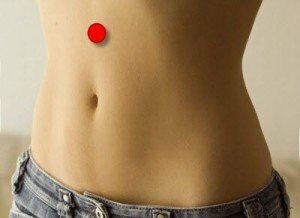 Point 6– This point is located one thumb-width above the navel. Point 7– This point is located 4 thumb-widths above the navel. The majority of the present day population complains form back pain because of our sedentary lifestyle and desk centric work culture, where we hardly get an opportunity to move about and straighten our backbone. Some of the causes of back pain are muscle strain and spasm, ruptures inter-vertebral disc, spondylolisthesis and arthritis that can be treated successfully with Acupressure treatment. The Acupressure treatment for Back Pain involves 6 pressure points. Point 3– This point lies on the back, directly opposite to the navel, 2 finger-widths to either side. Point 4– This point lies 2 thumb-widths vertically below point 3. Point 5– This point lies at the centre of the crease beneath the buttock. Point 6– This point lies at the centre of the crease at the back of the knee joint. The problem of knee pain is extremely prevalent among aging adults and the most common reason being injured or torn ligaments, torn cartilage and arthritis. In many cases, knee pain causes chronic pain and leads to immobility. But all these can be changed with the help of Reflexology that successfully treats knee pains without the use of medicine. 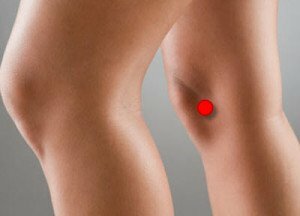 The Acupressure treatment for Knee Pain involves 6 pressure points. 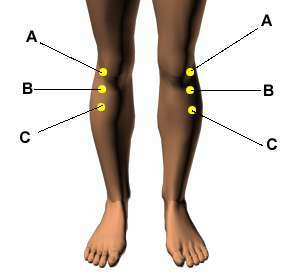 Point 2– Just below the knee cap, there are 2 depressions. This point lies at the centre of the outer depression. Point 4– This point lies at the centre of the crease at the back of the knee joint. 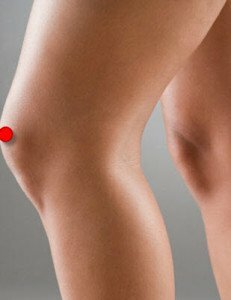 Point 5– This point is located at the mid-point of the upper border of the knee-cap. Point 6– There are 2 depressions just below the knee-cap. This point is located at the centre of the inner depression. Ankle pain is caused mainly due to injury suffered to the ligaments or bones of the ankle. 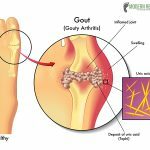 It can be caused by accidental spraining or twisting of the ankle that can lead to stretching or even tearing of the ligament. Other causes of ankle pain include broken foot, fractures, gout and arthritis. Foot pain can be extremely agonizing and unbearable at times. But with Reflexology by your side it is easy to get relief from Foot pain with its healing touch. 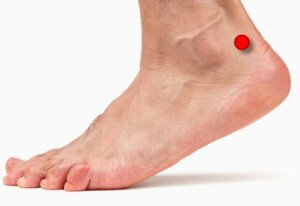 The Acupressure treatment for Ankle Pain involves 5 pressure points. Point 2– This point is located at the centre of the front surface of the ankle joint. Point 4– At the back of the ankle joint is a firm rope like structure called Achilles tendon. This point is located just before the Achilles tendon. Point 5– At the outer aspect of the ankle joint is a prominent bone called lateral maleolus. This point lies in a shallow depression just below the lateral maleolus. Heel pain is faced by most of us during the early morning when we get out of bed. It is often caused by inflammation of the tissues, an abnormal growth of bone below the heel bone or fracture. Whatever might be the reason, heel pain can be effectively relived with the help of Acupressure. The Acupressure treatment for Heel Pain involves 2 pressure points and other painful areas on the heel. Now that you know how to treat the intimidating pains with the help of Acupressure, the next time you have a headache or neck pain, apply this wholesome therapy instead of popping a pill and feel your body respond to the nurturing touch of Reflexology. Hai..awsome..information !!! it is indeed really helpful for me to know more about foot and hand reflexology for various ailments.. I expect more and more good articles for mental health problems also through reflexology.. thank you..
Respecter Madam, Iam Amiya, I’m trainned by Pratanjali yogpeet. So I Learn a Aquprasser Points, pl give me a chanse, and give me ur contact number,then I talk to u. Thank u very much madam, i need this bcoz my mom is very sick n old age too.keep blogging…. Sure, we will publish more articles so that it could help you and your mom. We are glad you could benefit from the article. Great stuff I will share with my students. I have a friend who has lhermitte’s and gets like electric shocks down to the biceps and legs sometimes. Can accupressure help in treating swollen feet or the face?? ?